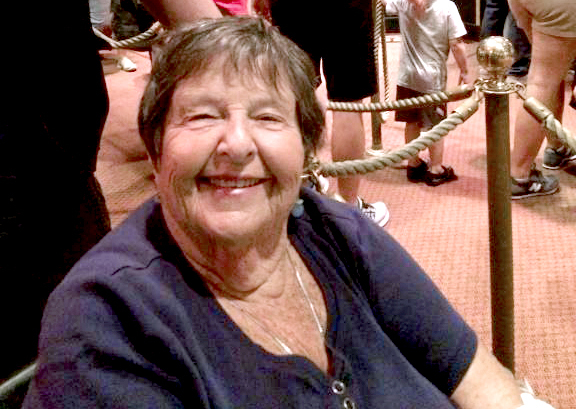 At first, Flora thought her tour-goers may have been from smaller towns, where revolving doors were less common; but she’s even heard the same question from a tourist from New York City, which made Flora start noticing just how many revolving doors we have. We quickly learn that she is on to something. 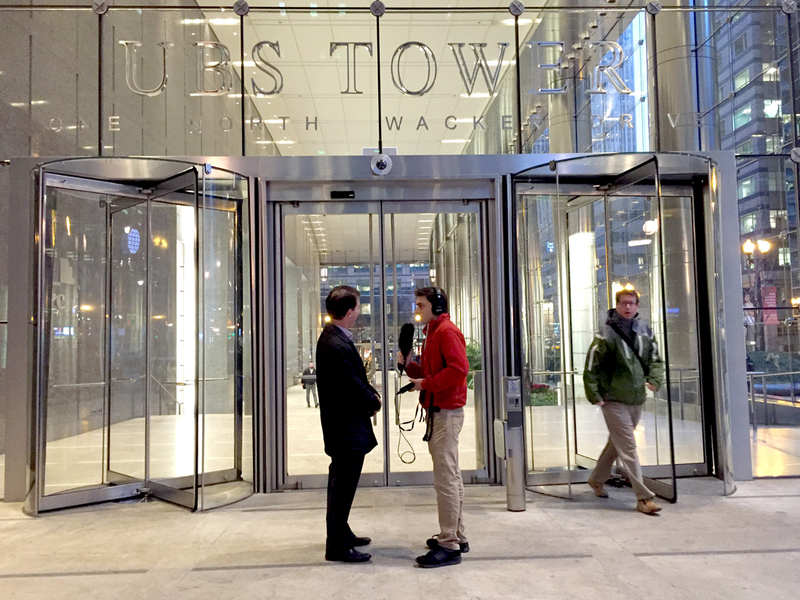 But the why part of Flora’s question — why the revolving door found such a hospitable home in Chicago — takes a bit more digging and is even more interesting. The bottom line is that revolving doors have been solving several of the city’s architectural challenges for about 115 years and, though the basic technology hasn’t changed, the reasons people install them have actually expanded. If you think these seemingly simple devices aren’t worth considering, we have a question for you: Can you think of another century-old invention that works the same way as it did when it was created, but has only become increasingly relevant? While there’s evidence of revolving doors in Chicago just after the turn of the century, they were actually invented twelve years earlier. In 1888, Theophilus Van Kannel of Philadelphia filed a U.S. patent for his new invention, an improvement on an earlier German invention. 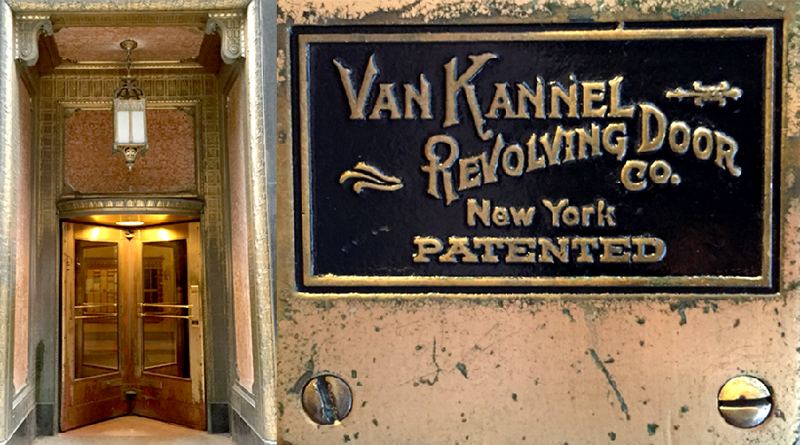 In his patent description of what would soon come to be known as a revolving door (most commonly now with four leaves), Van Kannel touted the many benefits over a swing door. For one, crowds of people could easily move in and out of the building in a continuous flow, without anyone having to wait. Beyond that, snug weather stripping around the doors could stop air from directly passing from the outside to the inside. The doors also prevented dirt and noise from getting inside as well. Despite the practical benefits, the new contraptions took some getting used to. Revolving doors debuted in New York City in 1899, and early accounts include stories of people (New Yorkers, no less!) afraid of using Van Kannel’s invention. Tourists visiting from small towns were even mocked in the newspapers for their revolving door naïveté. While we don’t know exactly how many revolving doors were installed in Chicago during the early 20th century, brochures from the period suggest the city was the major market in North America. You can still see some of the originals today. Just walk through the Loop or Streeterville: Plenty of the buildings date back to the early 20th century with classic revolving doors, including a few from the original Van Kannel Company. But the doors’ initial appeal and utility to keep coal dust and soot out of buildings soon gave way to other useful applications, particularly as Chicago’s skyline grew taller. Architect Patrick Loughran of Goettsch Partners says Chicago’s still got a lot of revolving doors because we have so many tall buildings. The stack effect, or suction, comes from the air pressure differential between the inside and outside. On very cold days, that differential is extreme. Warm air collecting at the top of the elevator shafts is much lighter than the denser cold air at the base. The low pressure area pulls air into the first floor lobby and actually makes it difficult to pull swing doors open. Revolving doors don’t have this problem, because they block air that would otherwise rush in from the outside. As such, Loughran says tall buildings either need a revolving door or a vestibule with two sets of doors. The vestibule solution doesn’t always effectively counter stack effect. Loughran explains that while revolving doors are more common in cooler climates, warm climates have their own version of this problem. “In Southern climates, you get the reverse effect, where doors are pushing out,” he says. That can make it difficult to close outward swinging doors, allowing cooled air to escape. Whether the effect is pushing inward or outwards, as the doors reach the closed position, the air rushing through can be audible. “It’s almost like a flute,” Loughran says. Concerns about the stack effect in highrise buildings only partially explain why the revolving door is so common in the Chicago landscape. Because, if you take a stroll around the Loop, you’ll see contemporary low rise buildings with revolving doors as well: drug stores, restaurants, cafes, and clothing retailers. 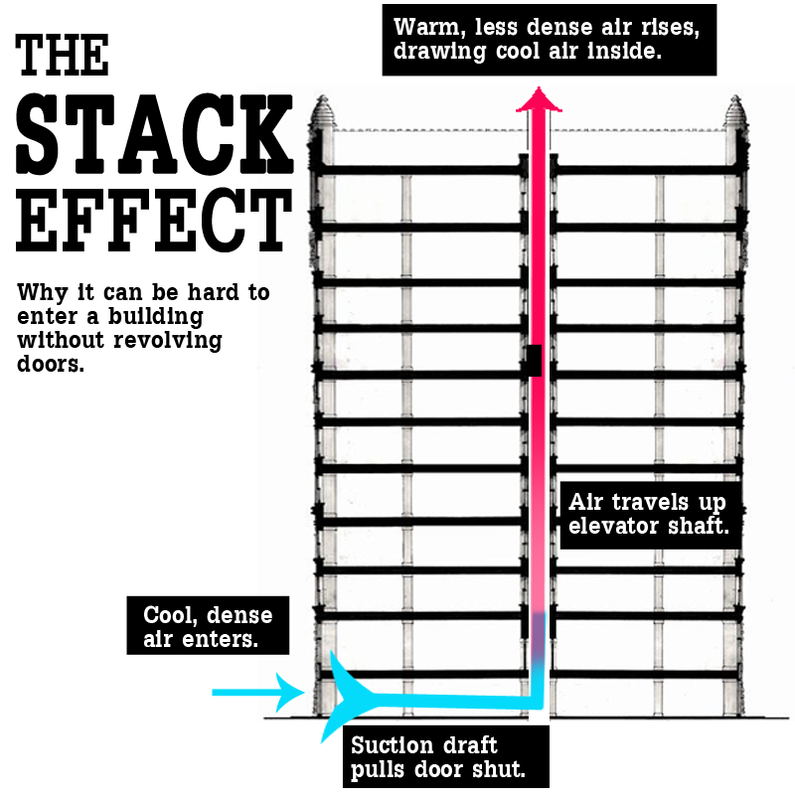 The likely reason doesn’t have to do with countering the stack effect. According to MacMillan, it comes down to comfort and economics — the need to maximize floor space. Restaurants could solve that problem with a vestibule and two sets of swing doors, but that option takes up valuable space. The revolving door’s smaller footprint, on the other hand, keeps cold out while allowing space for two or even three extra tables. MacMillan says that bit of extra profit can help offset revolving doors’ higher initial costs. The same principle applies to retailers, who want to protect customers from winter chills and maximize floor space at the same time. MacMillan says if you’re looking for one last reason to explain why some regions might not install revolving doors, consider that some people might still be a little afraid of them. “You look at California. They really look at revolving doors like a meat grinder,” he says, echoing the woman in 1899 who likened New York’s newfangled doors to a thresher. MacMillan says builders in warm climates are finally catching on to revolving doors, and he says the industry is selling and installing more than ever. But Chicago remains a city with a very high, if not the highest, density of revolving doors in its downtown. When you think about what factors make revolving doors attractive to developers and building owners, Chicago covers all the bases. A history of soot and smoke? Check. Supertall buildings and stack effect? Check. A high density of retail and restaurants? Yep. Temperature extremes? Got that one, too. Minneapolis might be colder and New York may have tall buildings, but Chicago uniquely combines all the important factors. Today’s revolving doors look sleek and modern, designed to complement transparent building entrances like the eye catching lobby at the UBS Building at One North Wacker designed by Goettsch Partners. But if you compare those doors to the sketches in Theophilus Van Kannel’s 1888 patent, you can see the basic principal is the same. One hundred thirty seven years later, and revolving doors keep on spinning (get it?). That long life cycle (groan) strikes us as neat. That same principle of creating an efficient air lock, first designed to keep out dust and soot, now helps buildings counteract the stack effect, keep customers comfy, and save on heating and cooling costs. Angus MacMillan, revolving door salesman, says that’s OK by him. “Every building should have a revolving door,” he says. Flora Alderman lives in Chicago’s Harbor Point, aka, New East Side. She’s a retired Jewish Community Center Director and still leads trips for Road Scholar, a project of Elderhostel. She splits her time between Chicago, and Delray Beach, Florida. She’s there now, and we asked her to be on the lookout for revolving doors, especially since they could save building owners and businesses in Florida on air conditioning costs. She says she hasn’t seen a single one. Jesse Dukes is Curious City’s Audio Producer. Jen Masengarb is Director of Interpretation and Research at the Chicago Architecture Foundation. Follow her on Twitter at @jmasengarb.